Co-founded in 1983 by Rob Roskopp and Rich Novak, out of Santa Cruz, California, Santa Cruz Bicycles have built a reputation for their bikes based on both a technically competent product range and creating a culture that is easily recognisable. The Santa Cruz brand is very well represented by it's downhill racing team, the multinational mix of Steve Peat, Greg Minnaar and Josh 'Ratboy' Bryceland and run by Kathy Sessler. The Santa Cruz Syndicate team offer up personality, humour and a drive to succeed. However to much surprise, it's been announced that Santa Cruz Bicycles have been sold to Dutch company Pon Holdings BV, who already have extensive bicycling related companies around the world. The understanding is that there will be no changes at Santa Cruz Bicycles regarding management or distribution around the world at this stage. Almere, Holland: With immediate effect, Pon Holdings acquires Santa Cruz Bicycles, the California-based market leader in high-end mountain bikes. Their product range currently includes 16 models are sold in 70 countries did under the brand names of Santa Cruz and Juliana. The company which Founded in 1993 by former professional skateboarder Rob Roskopp and his associate Rich Novak. The first bicycle rolled out of Their California factory a year later and the design, testing and assembly has Remained in Santa Cruz ever since. Under this new agreement, the company will continue to be based in Santa Cruz and Rob Roskopp will stay on as CEO. The current management team will remain in place and therefore continue to be the driving force behind further success at Santa Cruz Bicycles. 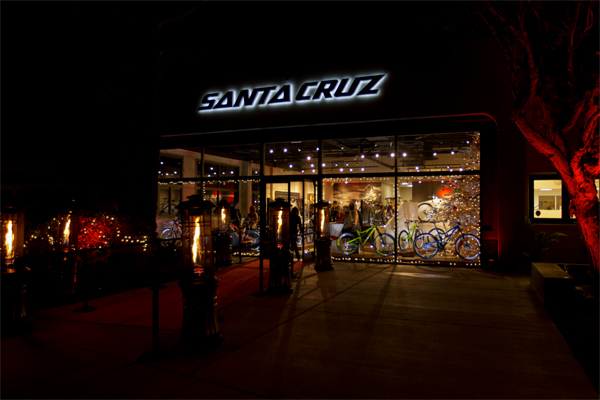 Within Pon Holdings, Santa Cruz Bicycles will become part of the Pon Bicycle Group. With the acquisition this year of Earlier BBB Cycling, to internationally operating manufacturer of bikewear, accessories and parts, and the addition of Santa Cruz, the Pon Bicycle Group is making important steps in its development. The portfolio is now composed of: Santa Cruz, Juliana, Cervélo, Focus, Gazelle, Union, Kalkhoff, Univega, Rixe and BBB Cycling. The Group has production facilities all over the world, Including in The Netherlands, Germany and the United States, and is active in over 80 countries. This year, some 800,000 bicycles Will Find Their Way to customers around the globe, generating on expected turnover of over 600 million euros.